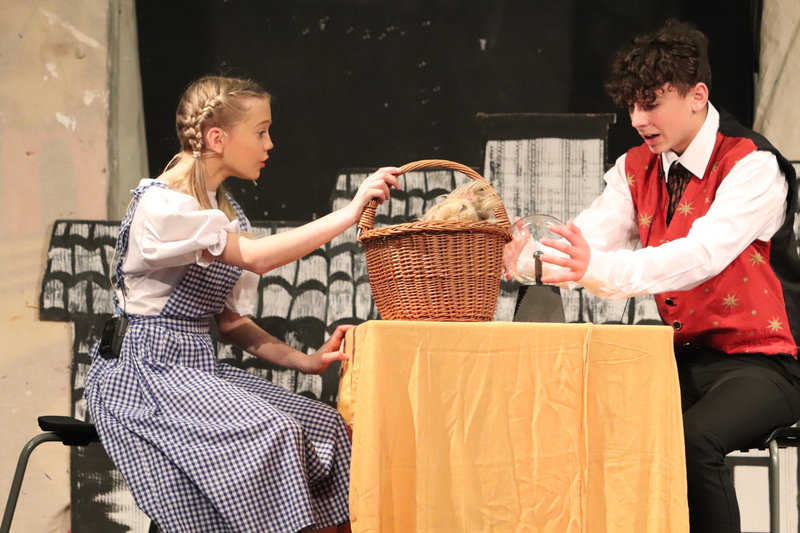 All students study Drama in KS3 and throughout each academic year will develop their abilities in practical work, creating and performing drama and written work, analysing and evaluating drama. During KS4 students can choose to study Drama. The Drama GCSE will allow students to be creative and develop an appreciation for Drama as an Art form. The KS3 curriculum has been designed to develop the skills students will need to study GCSE Drama. In Year 7 the drama curriculum is aimed at building students confidence and team work skills. They will be working together to learn some basic skills and techniques and will have the opportunity to perform to each other in groups. In Year 8 the drama curriculum is aimed at students channelling their more creative side. The lessons encourage students to use their imagination within their process of making drama. They will be learning more advanced techniques and building on their performance knowledge and skills. In Year 9 students are really being prepared for taking the GCSE. We will be looking at improving performance skills and ensuring that they fully understand the main techniques used in performance. This is a popular and highly successful examination course which the students may choose to follow at the end of Year 9. The students study the Edexcel GCSE Drama syllabus. The GCSE has 3 components: Two practically assessed performances, one piece of coursework and an exam worth 40% of the overall mark. Drama Club runs on Thursdays after school 3 to 4pm for students in years 7, 8 and 9. It is a chance for students who are keen on drama to develop their skills and gain more performance experience. It is also intended to help those of us who would like to gain more confidence or even those who just want to meet more people. There are many opportunities for students to further their performance experience, with a highlight being the annual school musical/play. The Drama department are keen for pupils to experience live performances and regularly organise trips to theatres to see professional shows, from Chichester Festival Theatre to the West End.